Swirling synths! Not the way you expect the third album from White Rabbits to start. Previous albums Fort Nightly and It’s Frightening go straight for the jugular, punching out huge dynamic sound, rollicking rhythm, and massive melodies. Twiddling techno is not what we expect. It may be disappointing upon the first or even second listen to hear many signatures from this band go largely missing. Yet with each successive listen, subtle flourishes and sonic interplay waft their way to the surface. The album may have you chasing white rabbits down the hole of their past and getting lost, but along the way the band lay out a lush soundscape with interesting and unexpected turns. 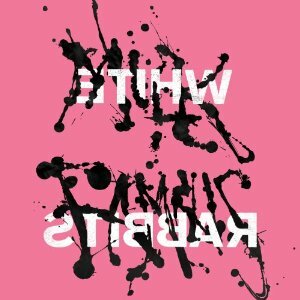 At times, as on “It’s Frightening” (the song, not the album) and “Temporary,” the music trips into a dreamy kaleidoscopic swirl of piano strings and electronic pulses closer to Rogue Wave than to any previous White Rabbits song. The rhythms, tones, and style found in songs like “Hold It To the Fire,” “Danny Come Inside,” or “I Had It Coming” also bring the album into the atmospheric territory of Peter Bjorn and John. If however, you are looking for the thumping beats usually pounded out by the band, “I’m Not Me” and “Day You Won The War” may do the trick. The entire album mostly eschews their big band ska influenced songs for music less single-oriented with lush orchestration revealing new hidden tricks and treats on each rewarding listen.